Thank you, Copenhagen, for the warm welcome! The 50th FIBEP Congress – this year’s edition of one of the biggest events in our industry – is now over and the team is back in the office. 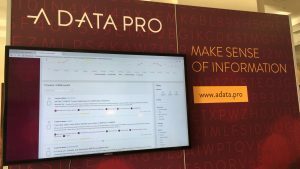 The Congress was held between 1st and 3rd October 2018 in Copenhagen, and A Data Pro was one of its proud sponsors. Beyond the sponsorship, our involvement in this year’s event was significant. We showcased our media and business intelligence capabilities via a live, interactive demo, co-developed by our AI and automation hub Identrics. The interactive demo at our FIBEP booth. The highlight of our participation, however, was our CTO Vladimir Kaladan Petkov’s contribution to the Congress programme. He was among the speakers in the Technology Best Practices panel, presenting our human-in-the-loop approach to machine learning, as well as a panelist in the Outlooks into the Future of the Industry discussion, sharing his vision for the industry’s development in the years to come. 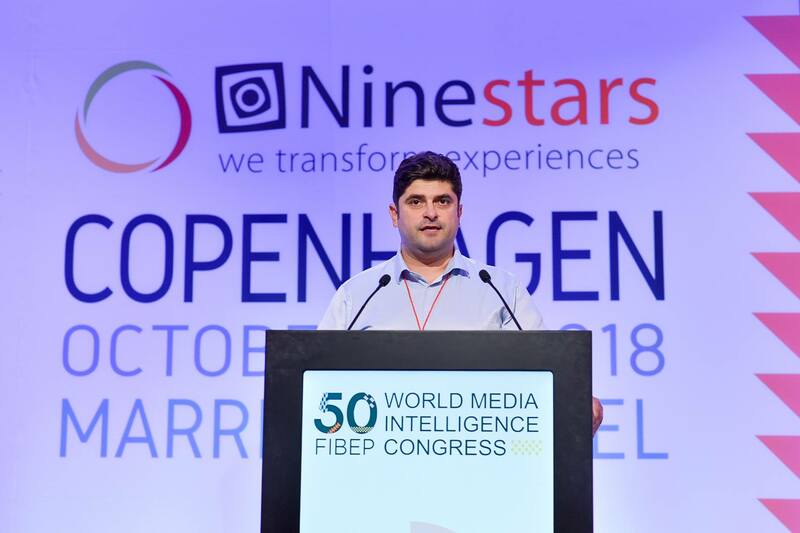 Vladimir Petkov speaks at the FIBEP Congress. All in all, it was a great three days, packed with engaging discussions, new opportunities, and quite a bit of fun – so thank you and congratulations on the successful event, FIBEP! We’ll definitely be joining in for the 51st edition of the Congress in Peru next year. And last but not least, to our A Data Pro and Identrics teams on the ground, behind the scenes and back home – a big thank you for all your hard work. We wouldn’t be where we are without you.